Pink Life QueerFest will kick off tomorrow in Ankara for the 4th time. Having started its journey in 2011, the first and only queer film festival in Turkey will also have a 3-day-long screening in Istanbul this year in collaboration with Baska Sinema. The festival also enjoys a great deal of voluntary support, the most visible ones being Hacettepe University’s Department of Translation and Interpreting with its film translation and Bilkent University students taking Media and Gender course with their “unofficial trailer”. 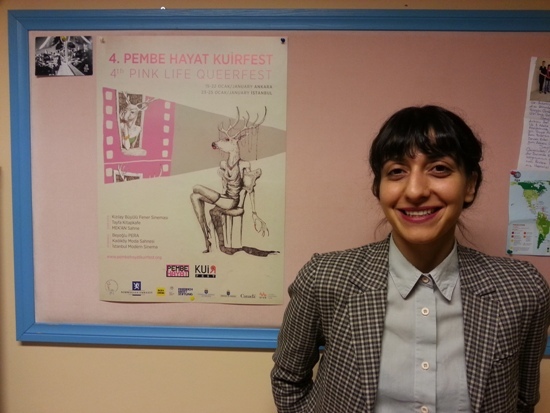 The official teaser of the festival which features famous actors Ayta Sozeri, Serra Yilmaz and Gonca Vuslateri increased the visibility for the 4th Pink Life Queer Fest on social media. The festival will also host some panels, theatre plays and workshops. The 4th Pink Life Queer Fest will be held in Ankara between 15-22 January and in Istanbul between 23-25 January.